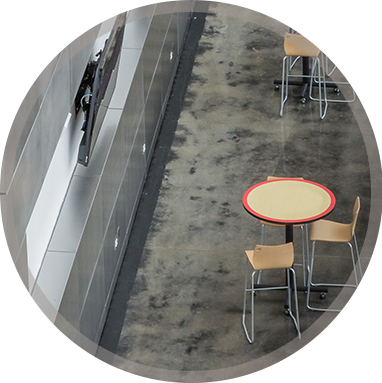 Concrete Polishing is a very attractive and economical option when considering flooring systems for your facility. 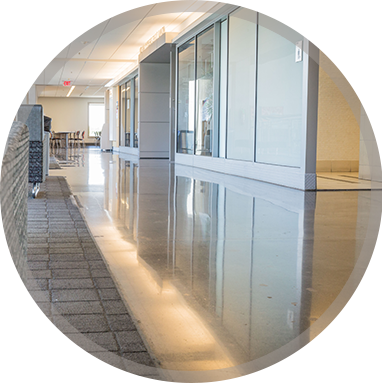 Practically an unknown flooring option not long ago, our multi-step diamond-polishing technology now makes it possible to grind, hone and polish concrete surfaces to a mirror like finish. 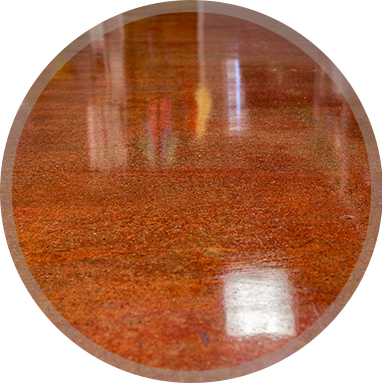 Staining is a perfect option when you want to change the color of your concrete floor, but still recognize the advantages of a polished concrete floor. 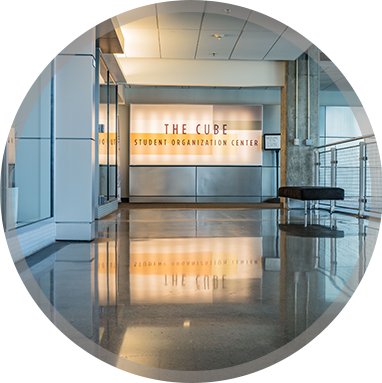 It not only penetrates the surface, but chemically bonds to the concrete as well. The stain contains UV-stabilizers for long-lasting performance. Additionally, we have over fifteen different colors to choose from, and can match most décor requirements.